BAO is the de facto partner for sales and marketing teams in the high-tech industry developing powerful, profitable go-to-market strategies. BAO provides organizations the customized, scalable, real-time support they need to increase sales productivity, drive more efficient marketing, and land priority accounts. The details matter when your team needs to navigate large organizations, working to sell "far, deep and wide." BAO Account Maps provide a detailed, strategic snapshot of the companies that matter to your business by drilling down into the critical sales intelligence you need to quickly assess and strategize a plan of attack for individual accounts. Built upon foundational sales intelligence gathered from BAO's daily contact with important players in IT and key lines of business, BAO Account Maps answer the critical "who," "what" and "where" questions. Every map is current and actionable and will fuel inside sales outreach, guide field sales initiatives and facilitate collaboration between the inside and outside teams. 82% of marketers are currently executing or planning an ABM strategy. They’ve committed to focusing on a smaller number of companies. But only one-third are collecting details about key trigger events and 37% are gathering insights about budgeted initiatives within these VIP accounts. In ABM, a great deal of resources are directed at a focused list of accounts, but often times not enough resources are directed at selecting those accounts. BAO lays the foundation for your ABM strategy with the insights and resources that help you execute three key steps in the ABM process: selecting the right companies, using the right message, and accessing the right decision makers. BAO's quick start ABM package gets your ABM up and running, fast. BAO’s ADG is the most thorough, complete way to build a fact-based go-to-market strategy that sets your entire team up for success. ADG quickly qualifies the accounts in your target market, providing trends and insights like active deals and competitive displacement opportunities. It isolates buyers and gives you access to the executives you need to meet now. Your contact database is one of your most valuable assets. It is the launch point for all your sales and marketing communications. If your information is out-of-date (a very real possibility in today’s ever-changing market) or incomplete, you could be wasting marketing dollars and missing out on conversations with the people who can drive your business. Online databases and list vendors are rarely a reliable source for accurate, real-time information. Their information is often an aged, point-in-time snapshot of what a company looked like on a particular day. BAO believes in live-validating everything - by phone. You need to know what your target companies look like today, and you need to be able to ferret out the people you really need to talk to based on their real-world responsibilities, not just the titles on their business cards. 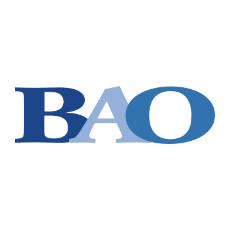 BAO will proactively find you “the person in charge of mobile initiatives” or the IT leader “responsible for big data initiatives” so you can talk to the people most in-line with your solutions. BAO's Contact Validation process ensures that you are not only validating existing contacts on an ongoing basis, but also proactively uncovering new contacts. They make sure that you know when someone has been promoted, left the company, or taken on an expanded role. You invest a lot of time and money into generating leads. Your marketing efforts – webinars, tradeshows, white papers, and so forth – are driving more inbound leads than ever before. But you need optimal inside sales coverage to maximize the leads you’ve created. It takes 31 dials on average to qualify a single inbound lead – even when they’re interacted with your content. In fact, market research indicates that, up to 40 percent of all inbound leads never receive any kind of follow up from sales. This is a common challenge for technology companies, and it typically comes down to coverage issues. Even large, talented inside sales teams can’t effectively cover the volume of leads being created today. BAO acts as extension of your sales and marketing team, so they can maximize your inbound lead flow, while allowing your inside team to increase their own sales productivity. BAO's Lead Qualification service handles the burden of qualifying a large volume of leads. In addition to quickly understanding which leads are worth your team’s time and attention, you also gain insight into program performance. OppID™ is your roadmap to revenue – based on a real-time blueprint of the opportunities in your target market. There are hot prospects out there whose needs are a perfect match for your solution. You just haven’t found each other yet. OppID™ helps you isolate accounts with active initiatives, those with pain points your solution can solve, and greenfield opportunities.